Whizz, pop, bang. Fireworks night is a lot of fun, and something to look forward to on a cold wintery evening. However, if you have super sensitive hearing and no context for what the loud bangs that come out of nowhere mean, fireworks night can be a very scary and stressful time indeed. Read on for our tips on how to calm your dog on fireworks night and help your furry friend avoid experiencing unnecessary anxiety. Fireworks nights are rarely confined to just one evening anymore and so the period of time where we need to take additional care of our dogs is often now much more extended. We all know to keep dogs indoors on bonfire night itself but please also be mindful of additional bonfire events in your area that may occur in advance or after when would be expected. If you’re due to leave your dog home alone, making allowances for an impromptu display by keeping curtains closed after dark and the windows shut to minimise noise. Leaving a radio or TV on will not only block out sudden bangs that can startle your dog but make them feel comforted by the appearance of having company in the house. We highly recommend the Adaptil diffusers for fireworks night, along with other stressful situations your dog might experience the rest of the year. Releasing a sythentic pheromone to emulate that which a mother produces to reassure her puppies, the plug-in will create a calming atmosphere in your home, in turn reducing stress and anxiety for your dog on fireworks night. Whilst we all become little kids, oohing and ahhing at the fantastical colour display, try to keep excited squeals to a minimum in your dog’s presence. They do not understand what the fuss is about and your excitement can increase their stress levels, leaving them feeling like they are on alert. Don’t scold or give your dog more attention, this merely reinforces that fireworks night is not an enjoyable experience. 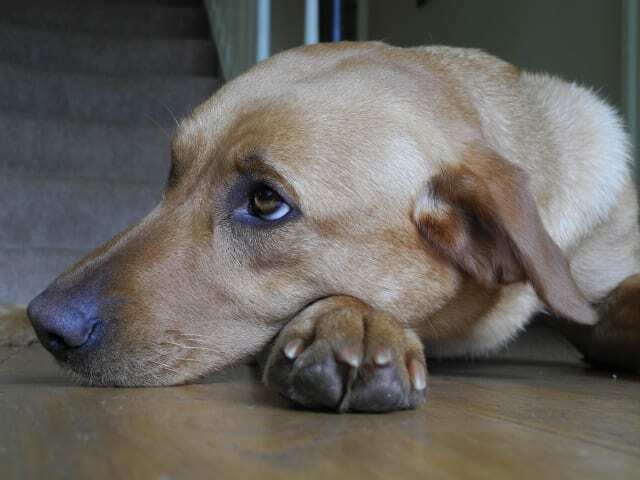 Watch for signs that your dog is overtly stressed. Excessive yawning, panting, lip-licking and unusual defecating behaviour are good indicators that your dog is feeling anxious. Keep your dog separate from children and unfamiliar adults as anxiety can lead to nipping. Better to be safe than sorry. Following these simple steps can make a big difference in calming your dog on fireworks night. Keeping your dog happy and safe, means a more enjoyable fireworks celebration for everybody.